3 Wittle Birds: Girl Scouts meeting: Lupe Petal "Honest and Fair"
Girl Scouts meeting: Lupe Petal "Honest and Fair"
Our very first Girl Scout Daisy Meeting was this past week! Being the introvert that I am, reading out loud was a challenge for me. 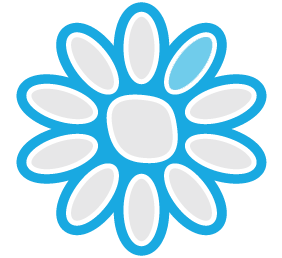 I think I'm hiding my social anxiety pretty well:) The first meeting we dived right in to start tackling the Daisy Petal Badges. I am saving the Promise center for the Investures ceremony that will be done in the 4th meeting. Like Girl Scout fashion, I divided the sections up into pre-meeting, Opening, business, Activity and Closing. Introductions: Since it was our first meeting, I wanted all the girls to get to know one another. We sat in the Daisy circle and went around and said our name and one thing we like. For example: My name is Katie and I like to garden. We practiced the Girl Scout Promise with the repeat after me technique. We also showed them the three finger salute. We asked the girls to get out their blue Daisy folders (this was provided at the parent meeting) to see if there was any thing they needed to hand in, such as troop dues, forms, ect. 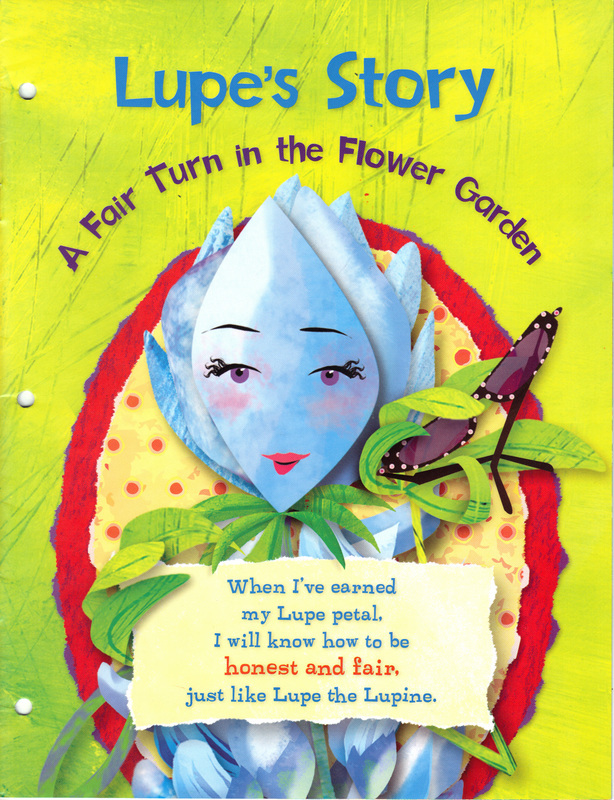 We read the Lupe story from our Girls Guide to Girl Scouting book. I read the story out loud and the girls that had their guides followed along. Once we were finished with the story I asked the girls how they liked it and provided a brief recap. Then I used the questions from the end of the book to discuss what they learned. We played a game to tie into the story. We used Happy and Sad face signs. Each leader got one and we stood across the room from one another. I listed examples of honest or not, and fair or not. The girls had to decide if they thought the example was being honest and fair or not. This got the girls moving and they looked excited. Our meetings are held after dinner so this was a great opportunity to get the silly's out before bed time. We had two apples and I asked the girls how can we make sure everyone gets a piece. I used an apple slicer to divide the pieces evenly. Once the girls were finished we cleaned up and I explained that Girl Scouts leave places just the way they found them. I brought my phone and doc to play the make new friends song. We have a single Cadette in our group so she taught the girls the song and then we played it on my phone. We held hands in the circle and did the friendship squeeze. I started the squeeze and it went around in the circle. Once it came back to me I said "Goodbye Sister Girl Scouts" and the girls said it back. The squeeze was the close of our meeting. I made sure that each girl got a certificate for the Petal Badge they earned as well as a next meeting reminder sheet. If you have the Badges at this point in time you can hand those to the girls as well. I hope this gives you some ideas on your meeting planning! If you like what you see today, please follow along subscribe !